Mahindra Logistics IPO was priced in the band of 425-429 per share and the issue price was Rs 429. Mahindra Logistics IPO was subscribed nearly eight times. 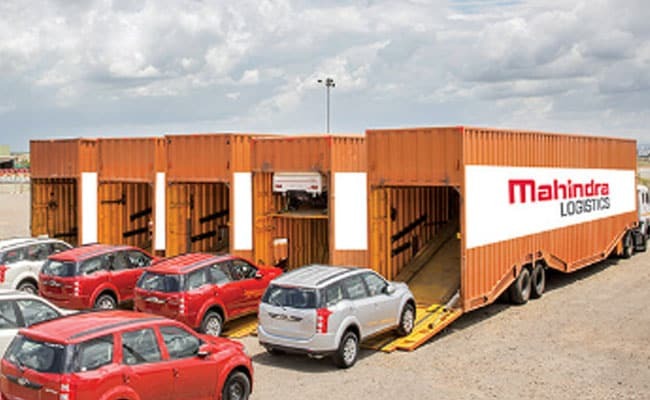 Mahindra Logistics shares listed on stock exchanges today, with share prices of Mahindra Logistics shares down 0.50 per cent at Rs 426, against issue price of Rs 429. Overall markets were weak today, with Sensex down around 15 points. Mahindra Logistics IPO, which closed last week, saw good response to public offer last week. The Rs 829-crore IPO was subscribed 7.90 times during October 31-November 2. The portion meant for qualified institutional buyers (QIBs) was oversubscribed 15.60 times, non-institutional investors 2.07 times and retail investors 6.10 times. The company had fixed the price band at Rs 425-429 per share. Mahindra Logistics' IPO comprised sale of 1,93,32,346 shares. Many brokerages, including Aum Capital, KRChoksey Research and Angel Broking, had a 'subscribe' rating on Mahindra Logistics IPO, citing strong growth possibilities in the logistics sector. Indian stock market has seen a record year for IPOs with more than $11 billion of initial share sales, including HDFC Life's, which concluded on Thursday. Mahindra Logistics follows an asset light model in which most assets (vehicles and warehouses) are owned/provided by its business partners. The company operates in two business segments: supply chain management (SCM) and corporate people transport solutions (PTS). The supply chain management segment offers customised and end-to-end logistics solutions and services including transportation and distribution, warehousing, in-factory logistics and value added services to clients. In the corporate people transport solutions segment, Mahindra Logistics provides technology-enabled people transportation solutions and services across the country to more than 100 domestic and multinational companies operating in the industries of IT, BPOs, KPOs, financial services, consulting and manufacturing. Mahindra Logistics IPO: Last Day To Subscribe. Should You Invest?